Maybe the road from Vilnius to Warsaw was part of some main route linking western Europe to the Baltic countries and from there Scandinavia via ferry, but the fact is that from Warsaw to Krakow the traffic was a lot lighter and we got there without anything to report except for a long queue at the entrance of the city caused by some road works that cut traffic on one lane, and that was quickly dealt with via some Russian-style riding on the hard shoulder to cut to the front. The hostel was right on the old town and the manager let us take the bike through the doorway and into the backyard of the building, where I had space to clean and grease the chain. Squeezing it through the doorway meant I had to remove both aluminum panniers, but it was much better than leaving it on the street. After that we went out to visit the old town and the market square, and seeing that there were sales on one of my favourite clothes shops, I took the chance to get a new shirt, as the clothes I had brought with me on the trip were not really suited to walk around cities or go out for a beer at night, since I had originally planned to visit less populated areas. I had been in Krakow a long time ago, fresh from my first year at university and still very green at travelling, and it was curious to see how different I saw things with a lot more experience in my backpack. When I was first here I saw a city that was very different from what I knew in Europe, a bit intimidating, and especially around the train station area, not very safe. It was Eastern Europe before the UE, the Euro, we were much less connected than now, no mobiles, no internet… Coming back after having been to Ukraine, Russia and Kazakhstan and having found them to be perfectly safe and nice countries to visit, Krakow felt Western European a city as any. The market square was as beautiful as I remembered, albeit with a lot more people visiting it, and there were a lot more trendy bars and restaurants in the back streets. Being Saturday, we went out for dinner to a nice restaurant, but it was different from the time when my two friends and I were the only tourists having dinner in a restaurant in the market square. 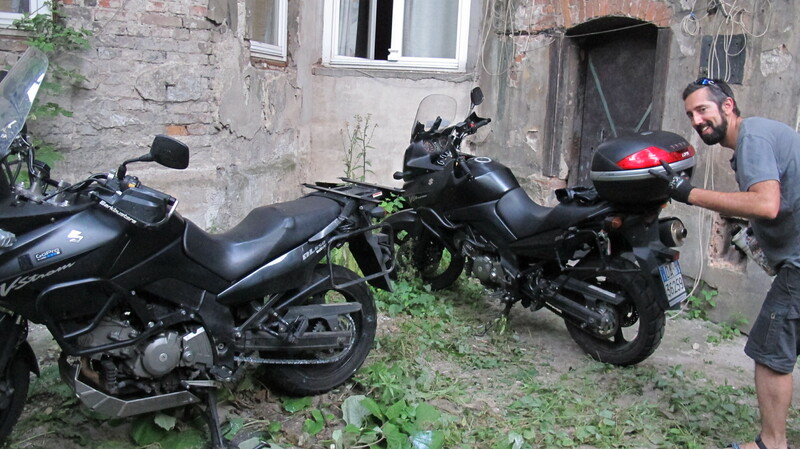 Back at the hostel, I went to check the bike and saw that it had company – there was another V-Strom parked next to it with Italian plates. I imagined that the rider or riders were also staying at our hostel, but we were only staying there for a night and we did not meet them. 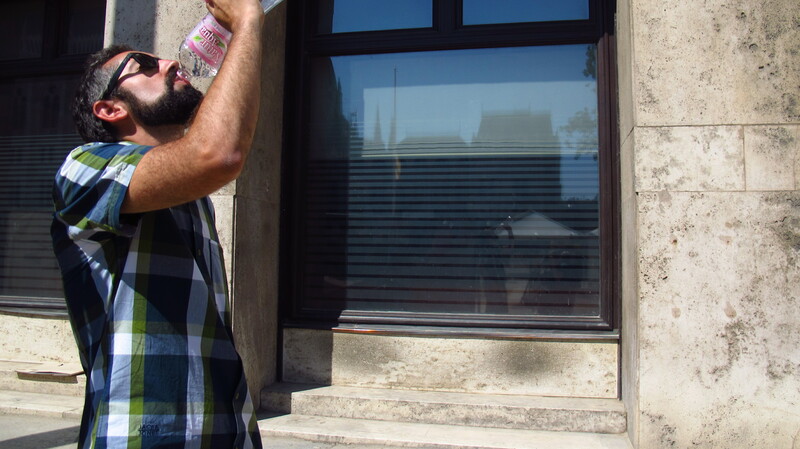 This entry was posted in Stroming The World 2013, Travel and tagged Krakow, market square, STW 2013 by Kilian. Bookmark the permalink.